Offering a central location near Eilat Airport, the Red Sea Hotel features an outdoor swimming pool and spacious rooms with LCD TV. The hotel's private beach is a 10-minute walk away, and sun beds are free. With air conditioning and cable TV, all the Red Sea's rooms include a private bathroom and minibar. Some offer direct access to the swimming pool area. Wi-Fi is free in the Lobby. Set on the private beach, the Maman Beach restaurant serves international cuisine. 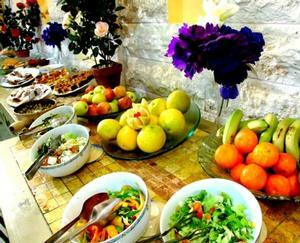 Guests enjoy a 20% discount on their prices. There is also a bar offering water pipes and alcoholic drinks.Guests staying 6 nights or more receive a free meal in the restaurant, including a free glass of wine.Please note that dinner is served in the hotel's restaurant, which is located at the private beach, a 10-minute walk away. 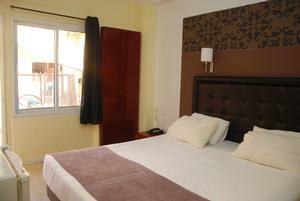 Double Room Air-conditioned room with en suite bathroom, cable TV and minibar. Triple Room Air-conditioned room with en suite bathroom, cable TV and minibar. 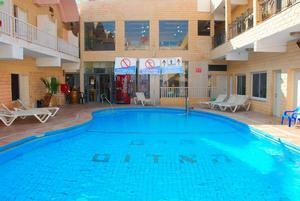 Double Room with Pool View With direct access to the swimming pool. Room type: Quadruple Room Air-conditioned room with en suite bathroom, cable TV and minibar. Family Room (6 Adults) Spacious, air-conditioned room with en suite bathroom, cable TV and minibar. Family Room (5 Adults) Room featuring a desk and chair, a flat-screen TV and a private bathroom with a shower. Single Room Room featuring a desk and chair, a flat-screen TV and a private bathroom with a shower.